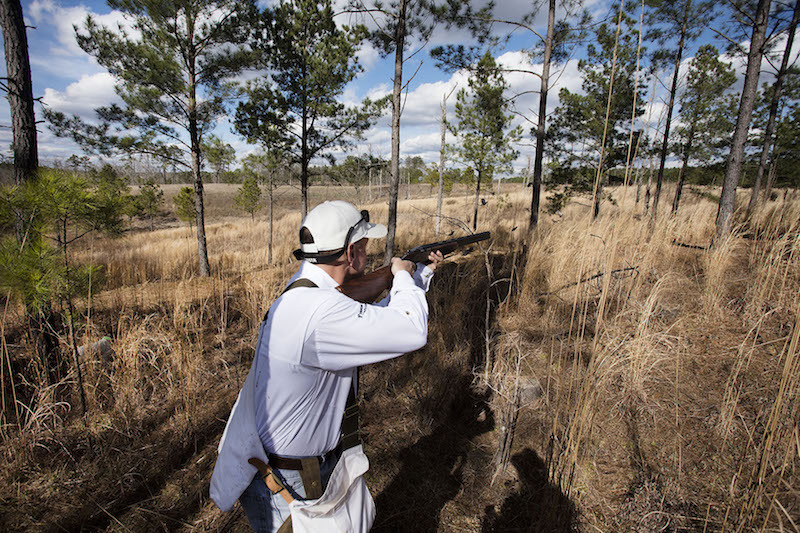 The picturesque Fishing Creek Farms has recently opened to private quail hunting parties. Here, a private quail hunting experience means exclusive use of the Fishing Creek facilities, without interruption from other groups. 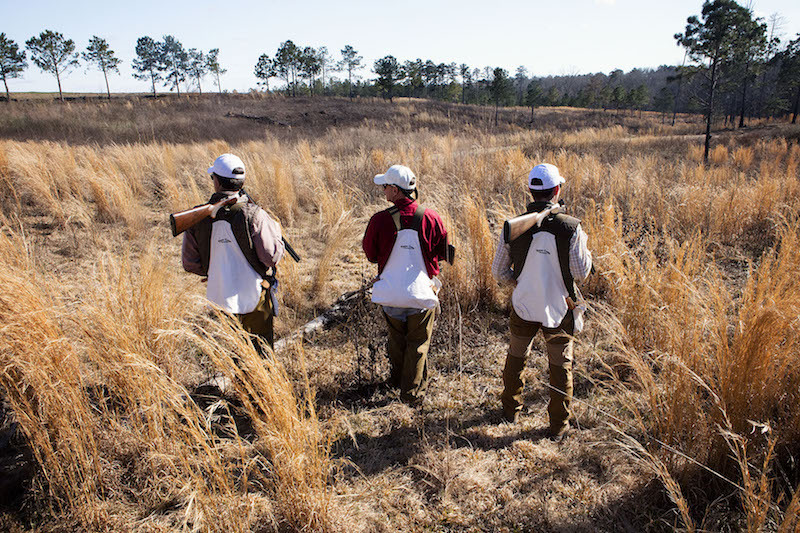 From the moment you make your booking, you can rest assured that your party will be the only guests hunting quail during your visit to Fishing Creek. At Fishing Creek, strong flying birds are paired with stylish pointing dogs and charismatic flushing dogs to deliver a memorable wingshooting experience. The Fishing Creek team takes pride in offering guests an intimate wingshooting adventure − free from commercialization − where you are welcomed as a true friend of the Taylor family. This dedication to family values and authenticity extends to the field, where you will be provided with a traditional white game vest and cap. The Fishing Creek team works to promote gun safety and ethics for all guests, standing by the best traditions of our sport. 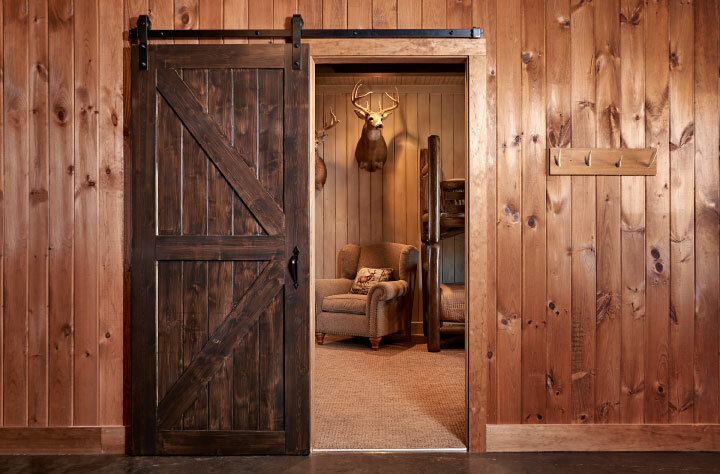 Fishing Creek Farm can accommodate groups of four to six hunters, with additional non−hunting partners welcome. This level of occupancy ensures that each guest is offered a truly outstanding experience and a private luxury room. 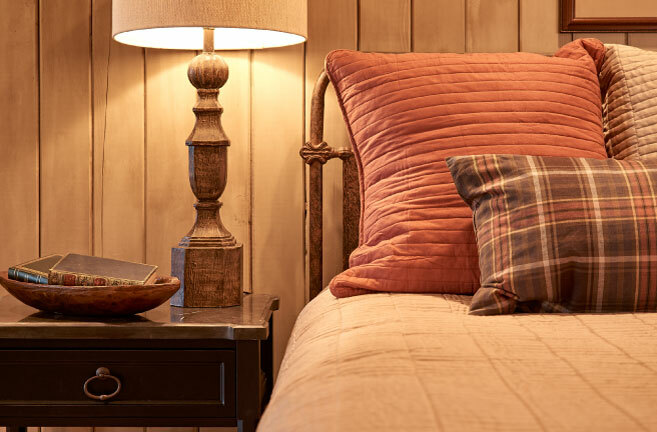 While alternate hunting venues certainly exist, the combination of opportune location, exceptional hunting, exquisite accommodations, and gourmet cuisine, all in a private setting, make Fishing Creek Farms a destination not to be missed. 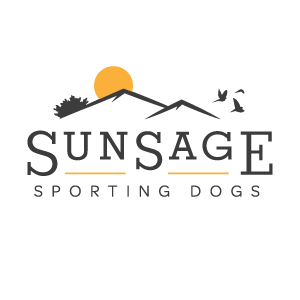 Led by husband−and−wife team Scott and Tyla Kuhn, SunSage Sporting Dogs are unrivaled in their ability to lead exceptional bird hunting experiences with their team of meticulously trained dogs. Scott and Tyla run a premier line of English Cocker Spaniels alongside German Shorthair and English Pointers. 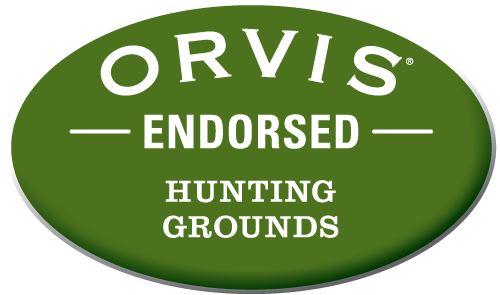 Their goal is to create a seamless and quality experience in all aspects of the hunt. 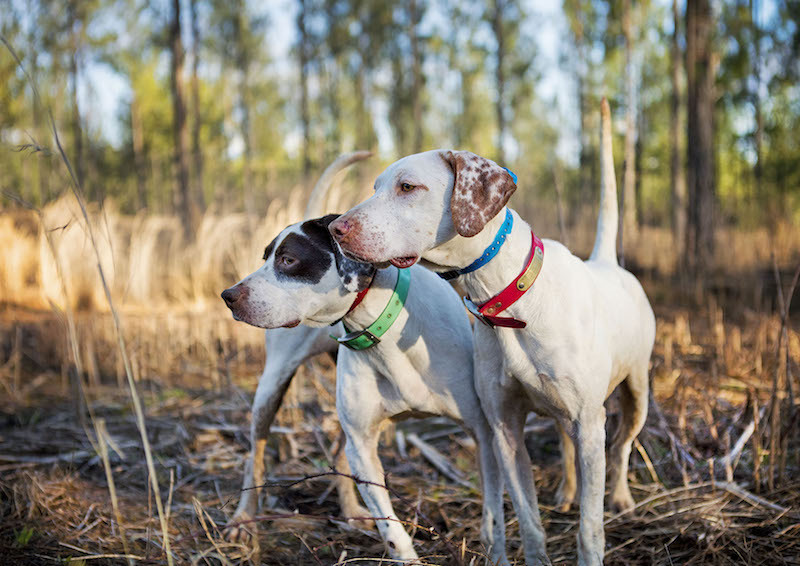 Their pointing dogs are steady holding point, and their reliable flushing and retrieving dogs ensure an ethical hunt. 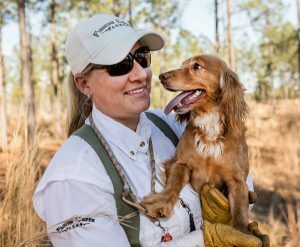 Scott and Tyla work hard with their dogs throughout the year to achieve quiet perfection in the field, and you’ll find that their presence at Fishing Creek Farms will create for you a peaceful hunt characterized by seemingly effortless grace. Interested in adding a hunting dog to your family? 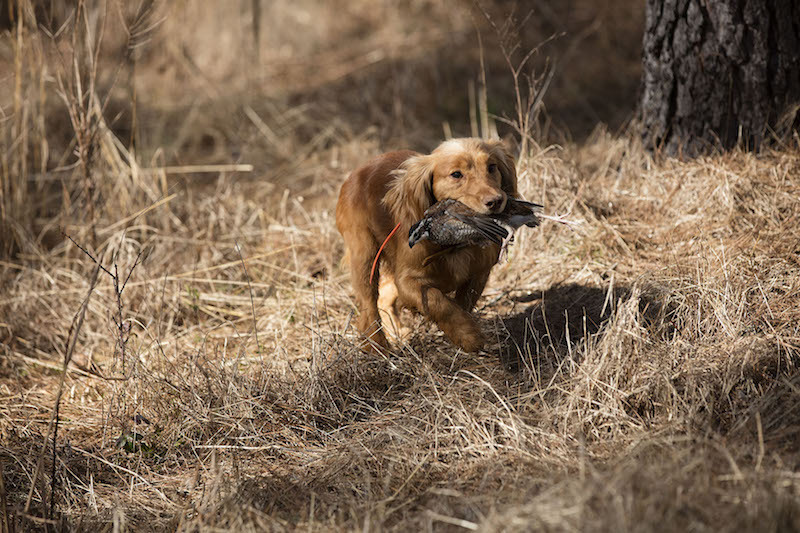 If you are looking for a well-trained, eager, and reliable hunting partner in the field, as well as a happy and content companion for hearth and home, SunSage Sporting Dogs can help! This beautiful property in the heart of Georgia’s Piedmont region produces unforgettable covey rises from rolling hills to picturesque stands of pines. The ground habitat consists of a mixture of traditional grasses and brush, all managed for the long term benefit of the quail. 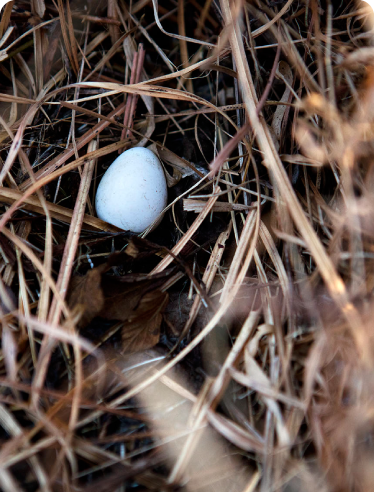 This careful management practice delivers a varied habitat that provides optimal conditions for quail to thrive, including feeding areas, nesting habitat, and protection from avian predators. Fishing Creek offers abundant birds, excellent dog work, luxury hospitality, and quality habitat. While at Fishing Creek I hunted over a combination of pointers and English cockers that enabled the guides to showcase the farm's fast flying birds. I just wanted to pass along sincere thanks for another terrific hunt at Fishing Creek Farm! Our clients were thrilled with the hunt, making the experience for all involved, simply awesome. The birds flew great, the beautiful varied terrain looked better than ever, but the highlight is watching and working those incredibly talented dogs in the fields; finding and flushing the birds. Thank you so much for a wonderful time this week. The service and staff was amazing as usual. I truest look forward to coming back each year, and the team here is part of that. Great seeing you last week. Service and hunts were incredible as always. Exceptional guides and staff-we love everything about this place! Thanks so much-you make a great trip better! Thank you for another step away from the routine! This is a special place and the people make it spectacular! My very highest compliments to guides and staff, for outstanding hunting, tremendous dog handling and world class cuisine! 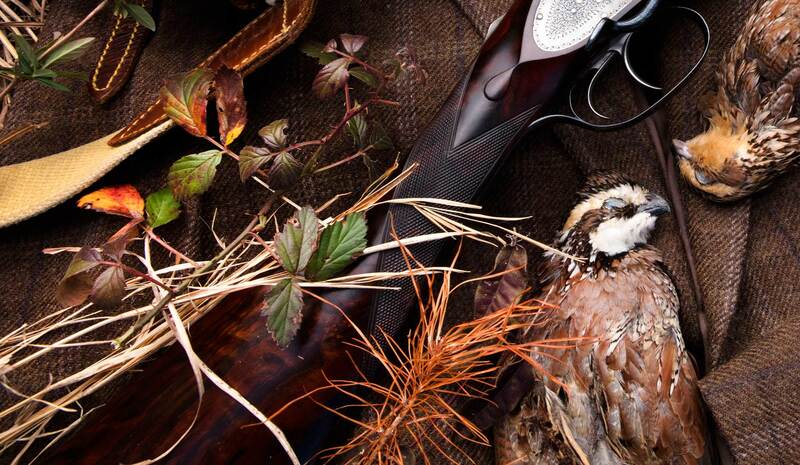 The Fishing Creek team provides all−inclusive fully guided quail hunts to private groups of up to six wingshooters. Parties of four to six hunters will divide into hunting groups of two to three, where necessary, and will travel to the quail courses on customized quail carts. Upon reaching the field you will be led by your guide through the quail courses. Your itinerary at Fishing Creek will vary depending on whether you have booked a half−day, single day, split day, or multi−day hunt. On a typical single−day hunt, you would leave for the fields around 9:00 am, and hunt a full morning with your chosen guide. Then you will retreat to the Lodge for lunch before re−taking the field for an afternoon hunt. At the end of the day, you will be encouraged to relax and share your stories around the firepit. Appetizers and drinks will be served before a delicious three course meal delivered by the private lodge chef. Fishing Creek guests are asked to shoot 20−gauge or smaller break−action guns while in the field. Choose between either a morning (9am – 12pm) or afternoon (2 – 5pm) hunt, both served with lunch. All of our hunts include unlimited birds, shells, custom Fishing Creek Connecticut Shotgun Revelation over−under 20−gauge shotgun rental, soft−sided stocked bird coolers, all meals, top−shelf beverages, and private accommodations for parties up to six (except where otherwise stated). Our full day hunt includes a morning hunt, lunch and an afternoon hunt. Our split day hunt includes an afternoon hunt, drinks and appetizers along with dinner and lodging, followed by breakfast and a morning hunt with lunch included. Stay and hunt with us for two days, upon your preference.